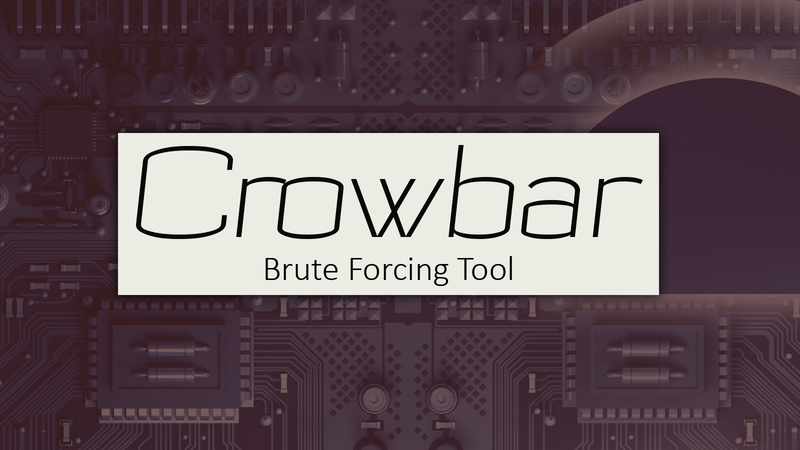 Crowbar (formally known as Levye) is a python based brute forcing tool that can be used during penetration tests. It is developed to support protocols that are not currently supported by THC-Hydra and other popular brute forcing tools. If you want to see all usage options, please use: ./crowbar.py --help. Once you have executed Crowbar, it generates 2 files for logging and result that are located in your current directory. Default log file name is crowbar.log which stores all brute force attempts while execution. If you don't want use default log file, you should use -l log_path. The second file is crowbar.out which stores successful attempts while execution. If you don't want use default output file, you should use -o output_path. After that, you can observe Crowbar operations.